BMW already designs and builds some of the most advanced, high-tech automobiles on the market. So it’s perhaps no surprise that Big Data-related technology lies at the heart of the company’s business model, driving decisions and operations across design and engineering, right through to manufacturing, sales and aftercare. In this case study, however, we focus on one specific area where BMW uses Big Data and artificial intelligence (AI) – and that’s developing the fully autonomous cars of the (not so distant) future. BMW clearly believes the cars of tomorrow will drive themselves, instead of relying on humans being at the wheel. It’s not alone in this belief – all the major car producers are investing in driverless technology, but BMW is more confident than most. The company has said it plans for its cars to deliver full “level 5” autonomy by 2021. 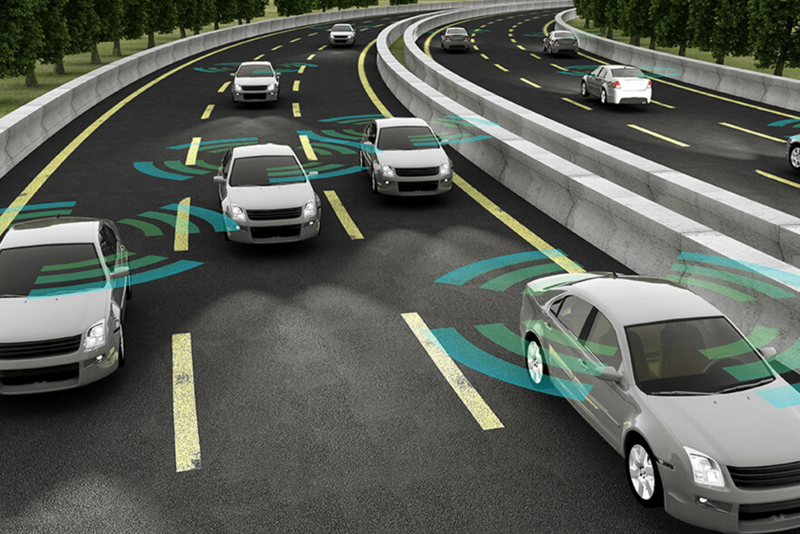 Level 5 autonomy was the highest level determined by the U.S. Department of Transport when it began looking into legislation for autonomous cars. This level 5 category stipulates that the vehicle will be able to drive itself with no human supervision or input whatsoever, and function just as effectively as any human driver would, on any road and in any conditions. Thanks to the company’s collaboration with Here – a location data service provider that BMW recently acquired from Nokia – data is already been gathered from cars to help inform the self-driving vehicles of the future. This includes machine data such as braking force, wiper and headlight use, video data from on-board cameras, and GPS data. Another BMW partnership shows us how an innovation that’s already in use could lead to more complex service offerings in the future. A recent deal between BMW and Parkmobile, which offers mobile payment for parking across America, will see Parkmobile systems installed in a range of BMW models. This technology will allow drivers to find and pay for parking before they set off on their journey. Looking ahead to when cars are autonomous, it’s thought that these parking systems will allow for seamless machine-to-machine payments. Finally, in another move to increase driver convenience, BMW is integrating Amazon’s AI assistant Alexa into its cars from mid-2018. Using microphones embedded into the car, drivers will be able to give basic voice commands, like asking for weather or news updates. Getting to fully, level 5 autonomous cars relies on computer vision technology, such as that offered by Intel-owned Mobileye. Computer vision means teaching computers and machines to “see” like us humans do, but using cameras instead of eyes, and to interpret what they are seeing in a way that’s similar to the human brain. It’s essentially a very advanced type of image recognition technology – the tech that powers a simple Google image search – where machines are taught to sift through and categorise images, becoming better at it over time as they process more and more images. Only, in this case, instead of sorting through millions of Internet images of cats and dogs, computer vision in an autonomous vehicle means ingesting all of the input data from the car’s sensors and cameras, and analysing that data on the fly in real time – quickly enough, say, to perform an emergency stop if needed. Whether or not the German car giant is the first to bring fully autonomous vehicles to market, all the work that has gone into developing the frameworks and systems for a driverless future is sure to pay dividends in the long run. With a huge organisation like BMW, data and analytics are always going to be a critical part of success – and BMW has capitalised on this and positioned itself as a Big Data leader in its own right. But it hasn’t achieved this working alone. BMW’s strategic use of acquisitions and partnerships has neatly complemented the company’s forward-thinking, visionary attitude.